St Michael with St Mary parish church in Melbourne, Derbyshire, is a fine example of 12th-century Norman ecclesiastical architecture, but one part of the building is distinctly modern. The sunshine that illuminates the church’s stained-glass windows is also shrinking its carbon footprint thanks to a 42-panel, 10kw array of solar panels on the roof. Melbourne parish church is one of hundreds of religious buildings across the country to have taken the pioneering step of installing solar panels, spurred on by the twin aims of shrinking the building’s carbon footprint and slashing electricity bills. The returns are good, particularly for those churches that went solar prior to the Government’s 2012 decision to reduce the tariff paid to generators who sell surplus energy back to the National Grid. 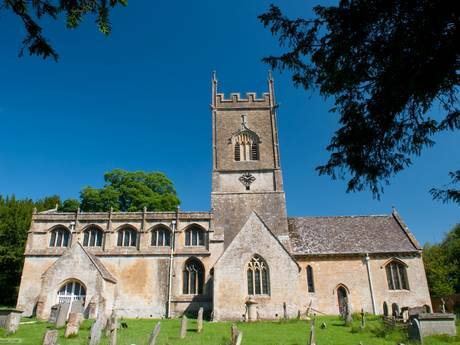 The latest figures from ChurchCare – the Church of England’s division that helps churches look after their buildings – show that over the past decade, 376 of its churches, halls, schools, vicarages and even a cathedral now have photovoltaic panels and are generating thousands of pounds. Churches are ideal places for panels. In a benefit unforeseen by medieval architects, the traditional east-west structure, with the altar at the east end of the nave, calls for a long, south-facing roof with a pitch that perfectly captures sunlight. 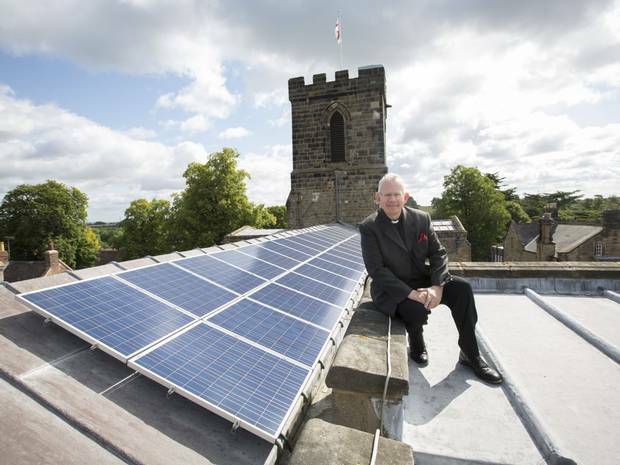 Melbourne’s parish church began producing green energy from the sun in November 2011 and was one of the first Grade I-listed churches in the UK to do so. The venture was kick-started by the village’s Transition group, part of the global Transition network, an ecological group devoted to cutting CO2 emissions. The church’s panels cost about £40,000 and were partly funded by a government grant. The church’s heritage budget covered the shortfall after church elders decided the money would be better spent earning cash on the roof than in the bank. The vicar, the Rev Dr Mark Powell, insists the scheme was not about money. “We were looking for a good environmental project to do, as a kind of showcase of what could be done for the local community, and the roof has a large surface area and is at the right angle to be ideal for solar panels,” he said. “The fact that you can achieve something like this on a listed building – it encourages other people in the community.